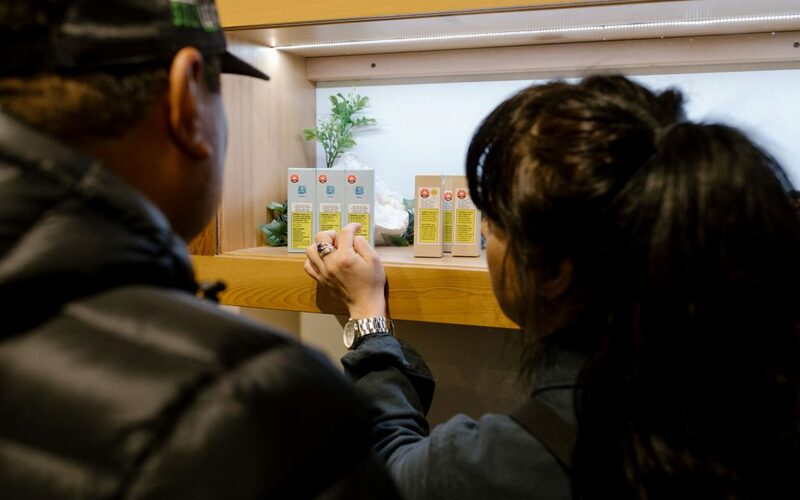 City Cannabis Co.’s flagship store is located in the very heart of Vancouver’s downtown at the intersection of Robson and Granville. 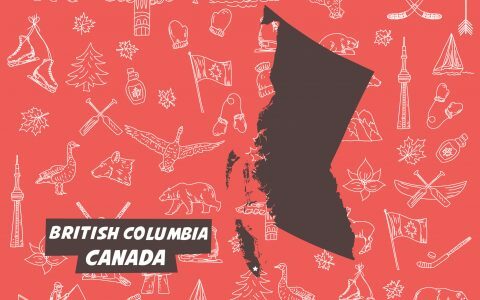 It’s a prime location that fits perfectly with a company whose mission is to help change the way people think about cannabis. 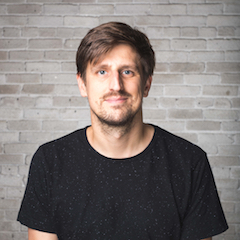 “In the new world of legal cannabis, our vision is shaped by a desire to erase the stigma and change the perceptions around cannabis and its consumers, ” says City Cannabis Co. founder Krystian Wetulani. That’s something that hits you the second you walk through the doors of the company’s flagship store. 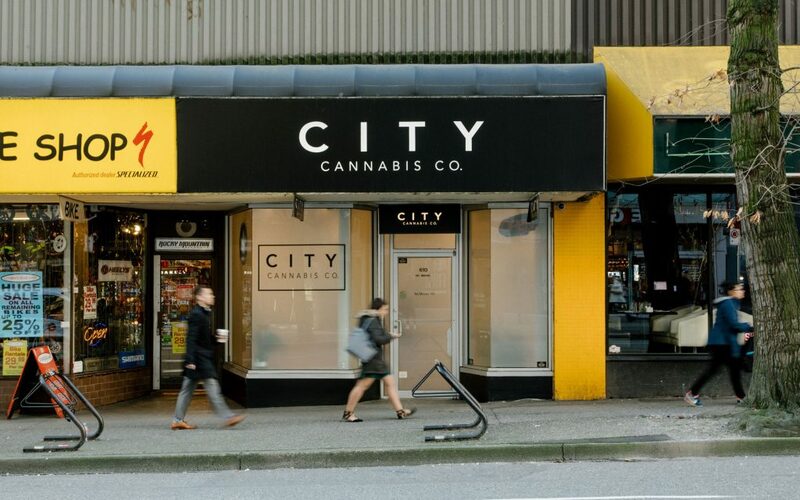 City Cannabis Co.’s Robson Street location sits among a gaggle of recently refurbished retail outlets and just steps away from the slick 230,000 sq. ft. Nordstrom that has regenerated the area. And the fact that this newly opened bud boutique doesn’t stand out amidst this well-appointed company is a testament to the vision and work of its owners. 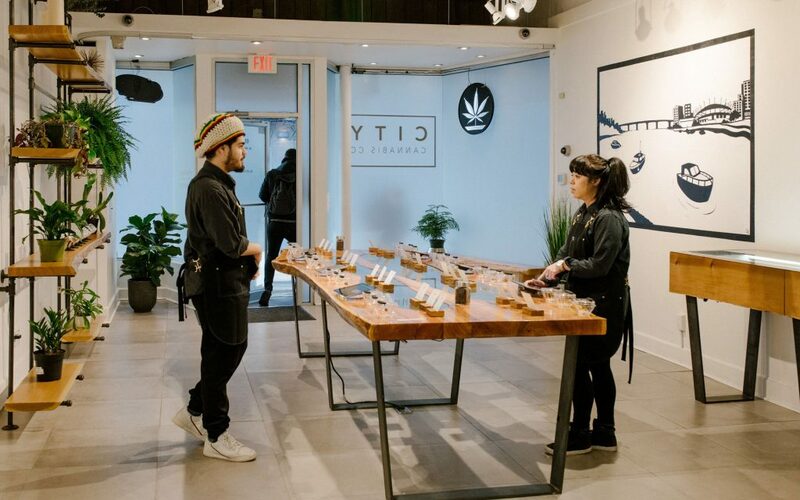 Capturing Vancouver’s unique combination of natural landscapes and urban environments; City Cannabis Co.’s sleek, stylish, and unashamedly modern store is an urban oasis that sits at the cutting edge of cannabis retail. 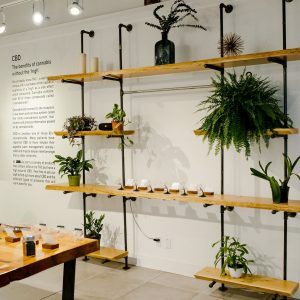 Furnished with custom reclaimed wood furniture and eye-catching natural greenery, the store is unashamedly West Coast. It’s also incredibly relaxing—an escape from the hustle and bustle of Robson Street. It’s not all about looks either. 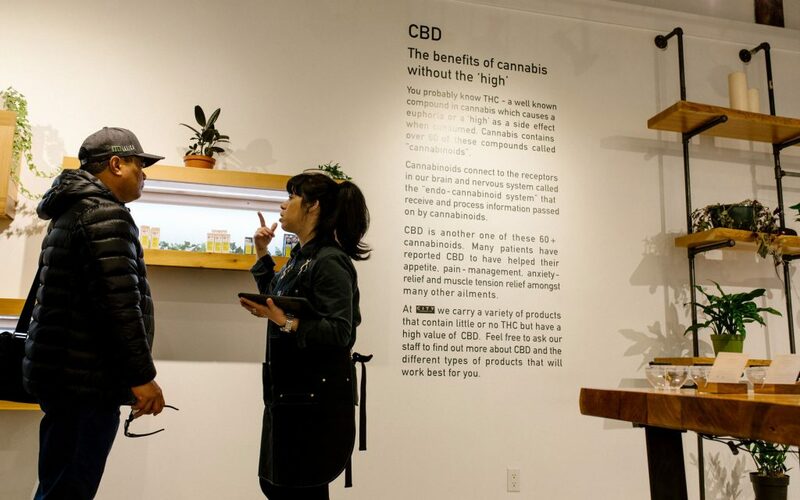 Sure there are stylish Instagram-worthy decals on the walls, but there’s also a carefully curated library of books on cannabis, informative wall displays about CBD, and an assortment of iPads offering interactive menus and information at the touch of a button. 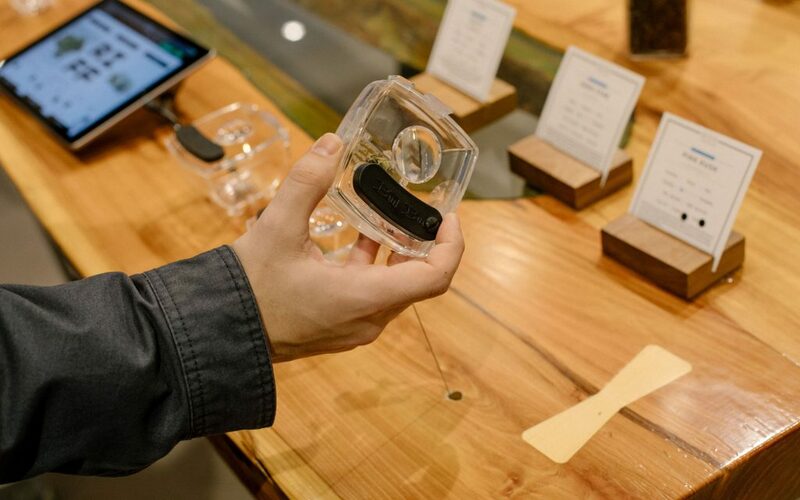 The overall effect creates a memorable guest experience, the kind of serene shopping that Apple Stores once pioneered, but tailored specifically for the cannabis crowd. 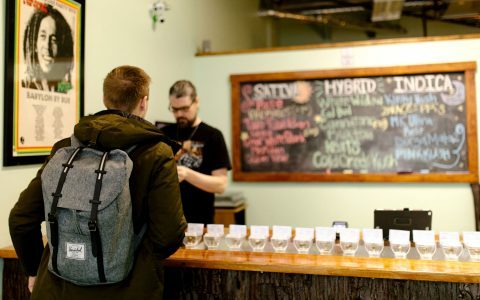 Beyond its carefully created retail space there’s plenty of substance to go along with the style at City Cannabis Co. 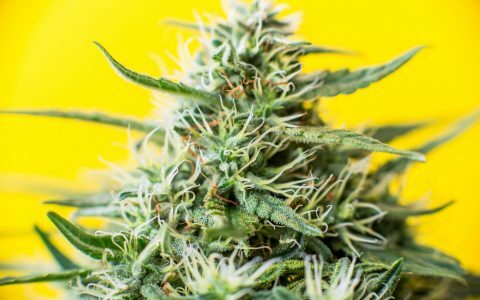 The company has been operating for more than five years in a city that’s renowned as one of the most cultured cannabis markets in the world, so they’ve got plenty of experience when it comes to educating both new and regular cannabis users. That shows in the expertise of the highly-trained team who are as knowledgeable as they are approachable. 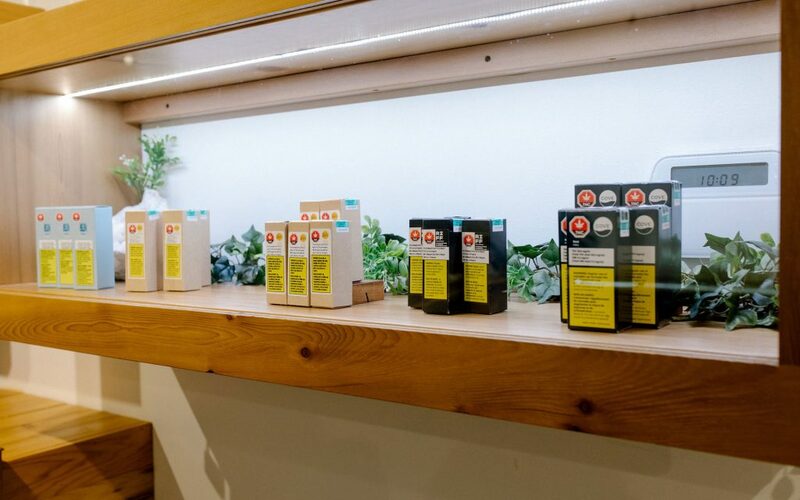 The focus here is on cannabis itself and City Cannabis Co. continues the accessible aesthetic throughout all of the product displays. 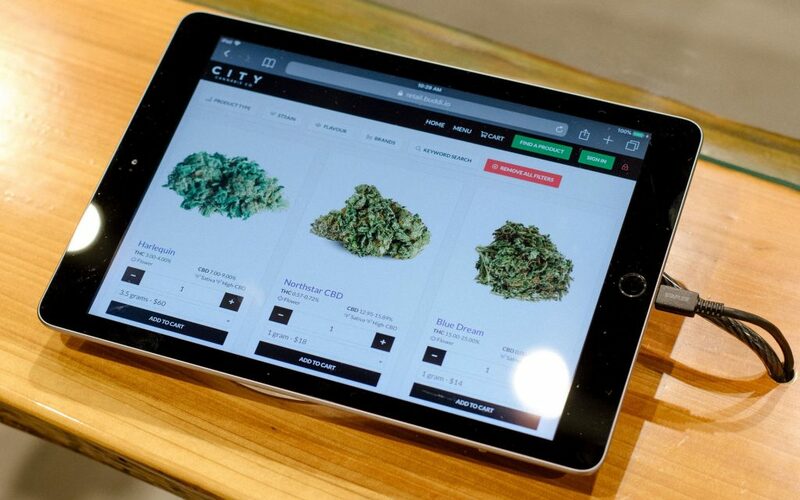 Have You Visited City Cannabis Co.? 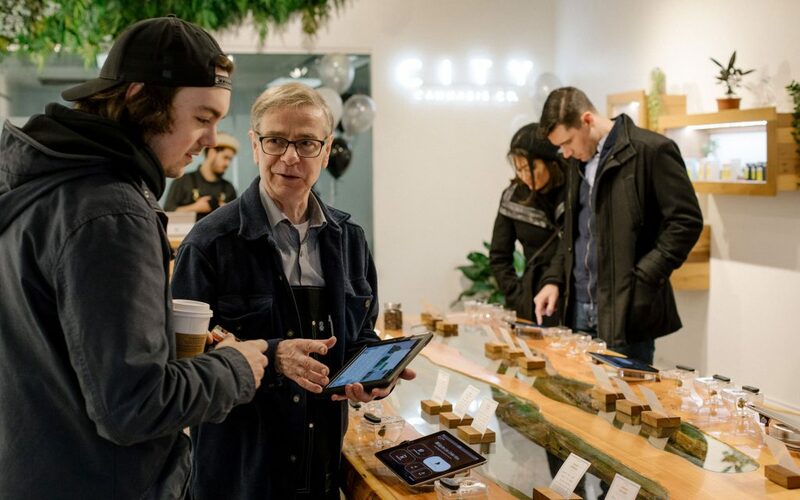 Located in one of Vancouver’s busiest shopping districts, there’s plenty of footfall at City Cannabis Co. nevertheless the store’s busiest times tend to be between 4 p.m. and 6 p.m. when the after-work crowd stops by. So make sure to visit earlier, or later, if you want to avoid the lineups.